In the heart of the city that never stops, amidst the center of the business, trade and shopping districts of Tel Aviv, the new Crowne Plaza Tel Aviv City Center overlooks the metropolis. 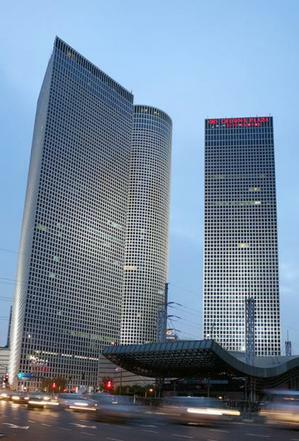 The Crowne Plaza Tel Aviv City Center offers an exclusive hospitality experience. 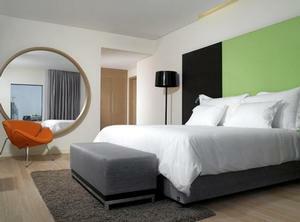 The 273 suites and guest rooms are exquisitely designed in modern urban décor. The guest and meeting facilities have the most advanced multi-media technologies accompanied by state-of-the-art business services, including WIFI and video conference (extra charge). The exclusive Crowne Plaza Lounge includes work stations and a rich buffet.Hotel guests enjoy free use of the Holmes Place Azrieli fitness club and spa facilities: the aerobics studio, indoor heated pool, luxurious spinning room, power plates, Jacuzzi, wet and dry saunas, spa rooms and dressing room. Hotel guests may also select any of the various treatments and massages offered by the Holmes Place Azrieli spa in the luxury of its well-appointed treatment rooms (by prior arrangement) and benefit from 10% discount off the treatments and products. Entry to Holmes Place Azrieli fitness club and spa and use of its facilities (including the swimming pool, Jacuzzi and sauna) is permitted from age 18 and is subject to signing a health declaration when checking into the hotel. *On Friday lunch is not served. In order to receive the bytech published rates, reservations should be made at least 3 days prior to guest's arrival. Receive rooms starting at 15:00 until 11:00 Departure. *On Saturday, leaving the room until 15:00, receive room on Saturday after Shabbat (starting at 20:30) *On Friday lunch is not served. The 273 suites and guest rooms are exquisitely designed in modern urban décor. The guest and meeting facilities have the most advanced multi-media technologies accompanied by state-of-the-art business services, including WIFI and video conference (extra charge). 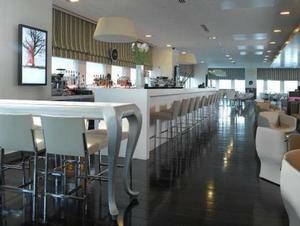 The exclusive Crowne Plaza Lounge includes work stations and a rich buffet. *Receive rooms starting at 15:00 until 11:00 Departure. On Saturday, leaving the room until 15:00, receive room on Saturday after Shabbat (starting at 20:30) *On Friday lunch is not served. In the heart of the city that never stops, amidst the center of the business, trade and shopping districts of Tel Aviv, the new Crowne Plaza Tel Aviv City Center overlooks the metropolis.